Luxhabitat is Dubai's only high-end real estate brokerage, setting extraordinary records in the marketing, designing and selling of the most important residential properties. LUXHABITAT extend to you their firm’s tradition of stability, integrity, personal attention and breakthrough innovation. It is this unique combination of old ideas and new ideas that set Luxhabitat distinctly apart. Luxhabitat provides exceptional personal service, exceeded only by the highest level of performance. Their reputation for discretion assures that their select clientele retains their privacy and confidentiality. 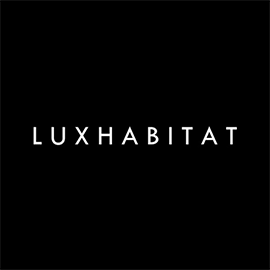 LUXHABITAT is looking for a Digital Marketing Executive in Dubai, United Arab Emirates. If you meet the requirements below, you will be eligible to apply via Digital Marketing Community. Determine and execute the on-site and off-site SEO strategy. Lead PPC campaigns on different advertising networks. Organize the email marketing campaigns with the marketing manager. Enhance procedures to increase the number of leads from property portals. Continuous explore new ways to generate leads from HNWIs. Traffic, sources and conversion analysis in Google Analytics. Follow and report the digital marketing KPIs. Cooperate to define the PR and content strategy. Collude to define the social media calendar. Degree in digital marketing or similar. Effective experience in dealing with Google preferred. Effective experience with Google Ads and Facebook Ads Manager. Proficient experience with SEO tools like Moz or aHrefs. Proven track record in the real estate sector preferred. Familiarity with marketing in China would be a plus. Expert knowledge in web development is a plus. Up to date with the latest digital marketing trends.